Check out the Weekly Specials from Ruger, Smith & Wesson, Sig, Taurus, Beretta, Savage, American Tactical, and this Canik TP9DA. The Canik TP9DA is almost a cross between some of the smaller Elite models and the larger SF or SA sized duty guns. It features a 4.07" match grade barrel, Warren Tactical dot front sight and rear u-notch sights. The TP9DA has a reversible magazine catch, picatinny accessory rail. 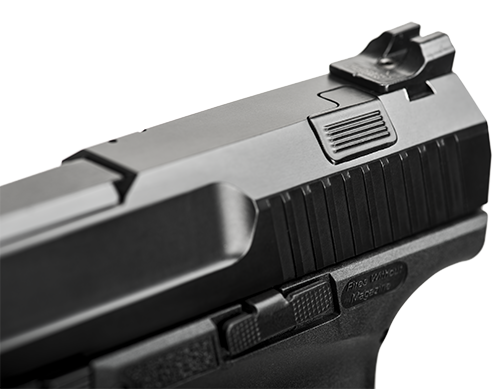 One of the unique features on the TP9DA is the decocking button which you don't expect to see on a striker fired gun. The decocker will put the trigger in a double action mode with a longer heavier trigger pull. 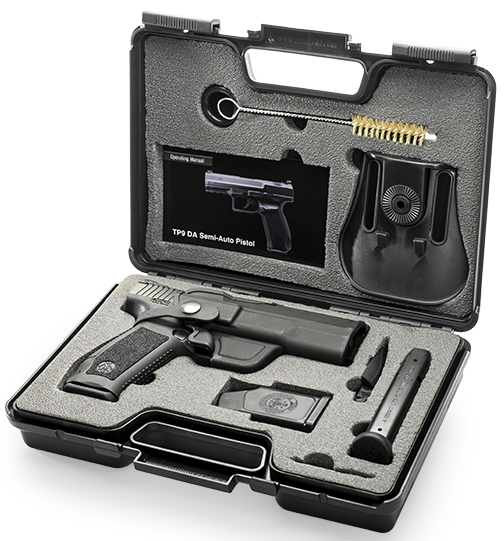 The TP9DA comes with two 18 round magazines, polymer holster with paddle and belt attachements, interchangeable backstrap, cleaning rod, brush, and is backed by Davidson's GuaranteeD Lifetime Repalcement Program.